Join to support GBA in its mission to ensure our State benefits from the continued clean up of and reinvestment in environmentally impacted and underutilized properties in Georgia. We hope that you will be a part of this exciting work, which will benefit you as an individual and the industry as a whole. 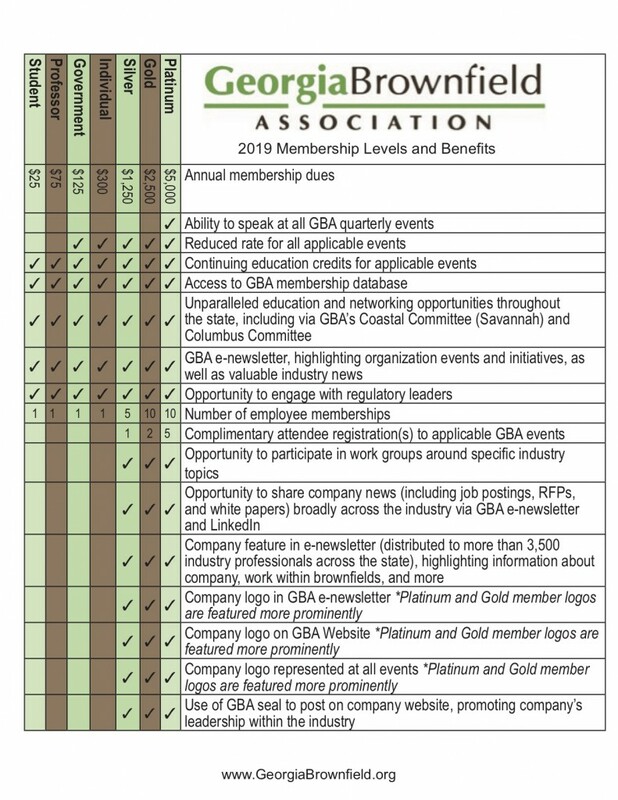 Click here to download an overview of 2018 membership levels and benefits.Contact Kelly Andrews with any questions about which level best fits your company’s needs or how to maximize your 2018 membership.